for $235,000 with 3 bedrooms and 2 full baths, 2 half baths. This 2,042 square foot home was built in 2001 on a lot size of 78.89X111.76. Location! Minutes from Hamilton Place. 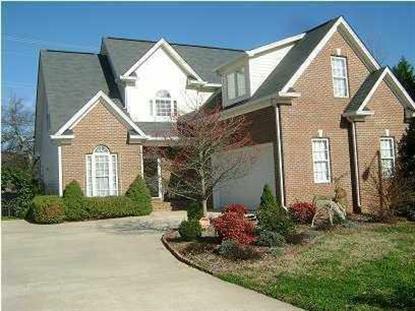 Beautiful home with elegant chandeliers in foyer, breakfast room, dining room, 2nd great room. Master suite on main level with large master bath and walk-in closet. Crown molding throughout. Hardwood and ceramic tile on main floor with carpet and vinyl on upper level. Main floor features one full and one half bath, and upstairs also had one full and one half bath. Tons of storage. low maintenance brick-with-vinyl exterior. large deck and fenced backyard. Concrete floored storage with outside entrance. All appliances remain. Oversized 2-car garage.